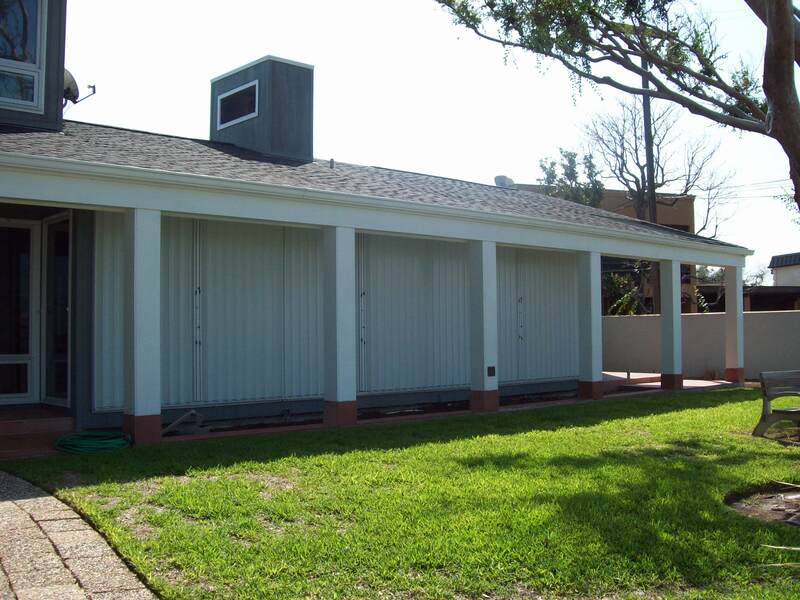 Commonly called folding shutters, the most popular application for accordion storm shutters includes any large, easy to reach area such as bay windows, balconies, covered patios, sliding glass doors, French doors, and large windows or glass enclosures in any easily accessible location. Accordion shutters are the best dollar value in hurricane protection. Accordion shutters are operated manually with a key lock for ease of use, security and durability. 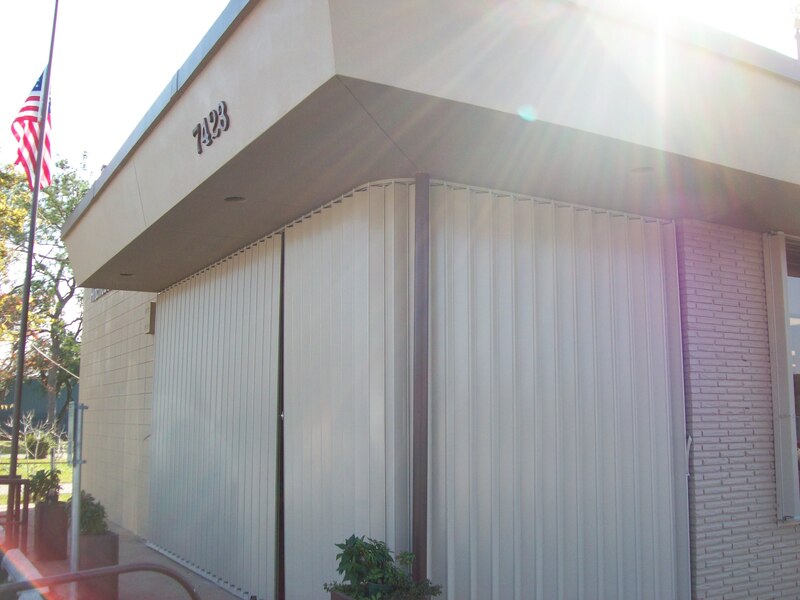 Accordion Shutters require no storage and can be fully deployed in minutes with no tools, no ladders, and no lifting, so it takes only minutes to protect your windows, doors, and large openings from high wind and storm. Accordion Shutters, like rolling storm shutters, provide excellent security. When accordion shutters are fully deployed and locked it would be extremely difficult for even the most determined thief to break in. Accordion shutters are excellent for heat and light control. Closing a shutter just half-way dramatically reduces the amount of radiant heat entering your home during periods of direct sun exposure, which means your AC runs less, you consume less electricity, and enjoy lower summer electric bills. Accordion shutters give you the ability to instantly block out glare and furniture-fading ultraviolet light; giving you greater control over the environment inside your home so your floor, furniture, and walls maintain their natural color much longer. 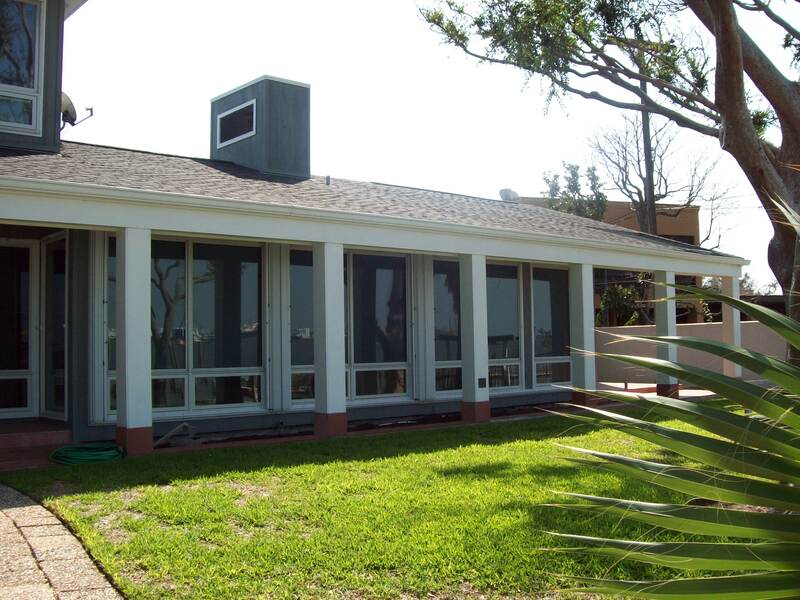 Accordion shutters are ideal for bay windows or curved areas and are perfect for any wide span that needs protection from high wind and storms such as patios, balconies, and so on. Accordion shutters stack to the side of window openings and will open and close from either side. Accordion shutters do not obstruct the view in any way when open. 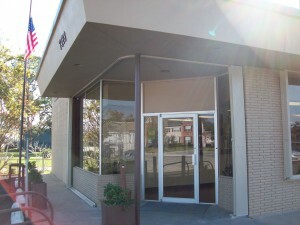 Accordion Shutters In A Commercial Applicationincreased security for your home or commercial property. Contact John’s Shutters for a free, no-obligation quote to protect your home or commercial property. Excluding acts of God, John’s Shutters come with a full two year parts and labor warranty. John’s Shutter and Repair serves Galveston, Texas City, La Porte, La Marque, Kemah, Pasadena, Houston, Alvin, Pearland and the entire Texas Gulf Coast from Beaumont to Rockport and Corpus Christi Texas. Your questions are welcome. Contact us and we’ll explain options and discuss solutions to protect your home or commercial property from storms and break-ins and give you peace of mind when a hurricane approaches or you’re away. Leave a private message in the SPEAK YOUR MIND section below… If you’d like us to phone you, be sure to leave your contact information and the best time to call.